You can download and print patient forms ahead of time and bring them when you come into the office. If your device is able, it will allow you to fill these forms out electronically. Once the forms are filled out, you can save them and email them to smile@springhillsmiles.com. This will allow us to have the information on hand at the time of your first scheduled appointment. At Spring Hill Smiles, we are committed to helping you find a financial arrangement that will work for you and your family. We will review your financial information and provide you with insurance estimates. We encourage questions from both the patient and the parent, and as such, we provide ample time to answer your questions. We offer payment and financial plan options through our PatientReach portal, and CareCredit. Click on the links below to pay or learn more. Dental Insurance is different from medical insurance. Many patients aren’t familiar with the specifics of their dental insurance benefits. Your dental and orthodontic benefits are based on the agreement your employer negotiated with your insurance carrier. Please review the insurance benefit booklet provided by your employer to better understand the benefits they make available as part of your insurance coverage. 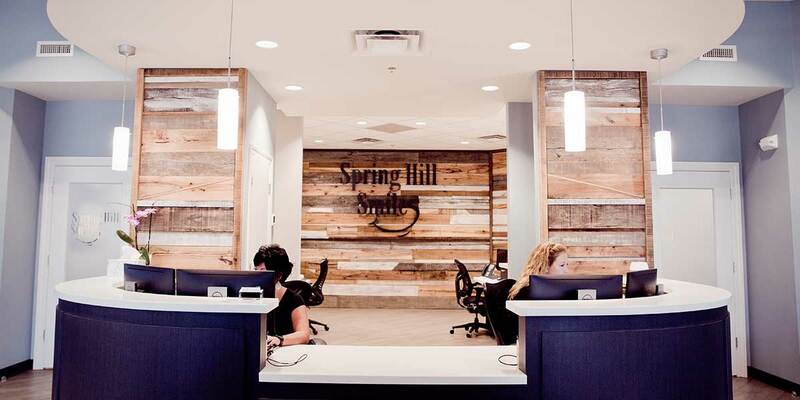 Spring Hill Smiles is not a provider of Tenn Care, Medicare, or Medicaid. If you have insurance that covers any portion of your orthodontic treatment, our office staff is always available to help you with insurance claims and paperwork. Please make sure to bring your insurance card to your first orthodontic appointment.